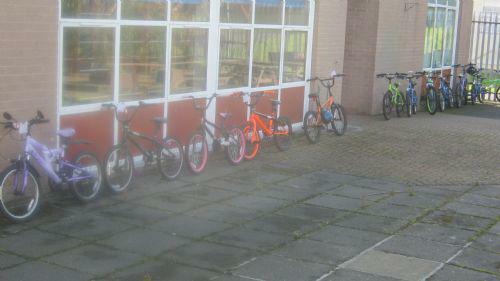 As part of our school's new Active Travel Programme with Sustrans (see our policy in Key Information), we had an active travel day on 25th September 2015. Any pupil who came to school walking, cycling, or scooting (or combining these with a shorter car journey) got a raffle ticket. 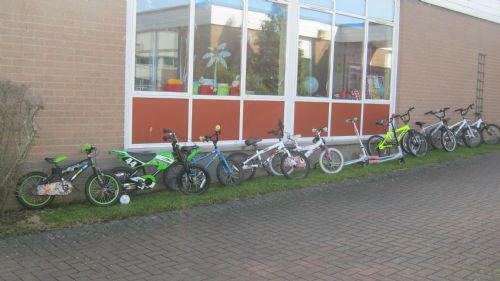 Parents who brought their children 'actively' also received a ticket each. Dave Wiggins from Sustrans took that morning's assembly where the draw was made: 20 children and 1 parent received some fantastic prizes. See our Gallery for more photos.